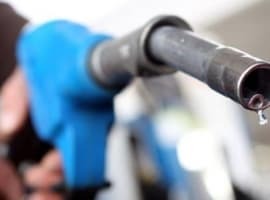 Natural gas prices in the United States dropped their lowest levels since 1998 on March 1, with Henry Hub spot prices falling to $1.57 per million Btu (MMBtu). Low oil prices are stealing the media show, but the natural gas sector is also facing a historic downturn. Less attention is understandable for a few reasons. Natural gas markets are regional, and as such, gas is priced differently in different parts of the world (although natural gas prices have plummeted in Europe and Asia as well). 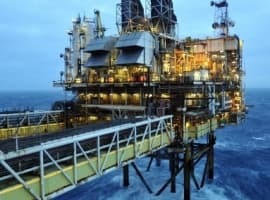 Not every country is suffering from low natural gas prices in the way that oil-producing countries are reeling from cheap crude. Also, natural gas prices in the U.S. have been low for several years, so a state of abundance is not necessarily new. Still, today’s prices are now lower than they have been in 17 years. 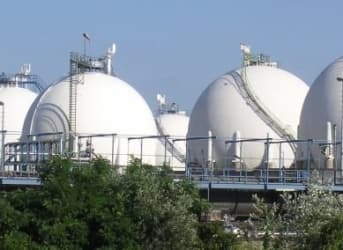 At the same time, just as rapidly rising storage levels for crude oil have become a drag on crude prices, so too have elevated storage levels for natural gas. The El Nino has contributed to an abnormally warm winter season in the U.S., cutting into what is typically the strongest time of year in terms of demand. Natural gas markets are seasonal, with storage build ups between spring and autumn and drawdowns in the winter. Warm weather led to residential demand for natural gas over the past few months to average only 19 billion cubic feet per day, a 31-year low. That has all occurred while production remains near an all-time high. Gas production in December 2015 was 5.3 percent above the level from December 2014. To recap: we have high production levels, weak demand, and record levels of storage. And this is where it gets tricky. The U.S. is heading into a season that typically sees some of the lowest natural gas demand for the year. Spring signals the start of “injection season,” in which excess production is diverted into storage. So the record levels of storage for this time of year are about to start rising. Moreover, injection season could get a head start: a wave of warmer temperatures is sweeping over the east coast of the United States this week. New England, normally under snow at this time of year, will see temperatures above 60 degrees Fahrenheit. But with natural gas storage already so high, there could be problems finding adequate storage, threatening further price declines. Spot prices for natural gas in the mid-Atlantic – near the vast Marcellus Shale in Pennsylvania – have dropped to just $1.21/MMBtu as of March 4. Prices could fall even further in the next few months as inventories start to rise again. In Canada, things could be even worse, with prices dropping below $1. There are a few bullish trends that could prevent prices from crashing below current levels. Natural gas demand for electric power generation – edging out coal from the sector – continues to rise. Cheniere Energy just shipped its first LNG cargo from the U.S. as well. But these demand-side factors may not be enough to push storage levels off their historic highs. 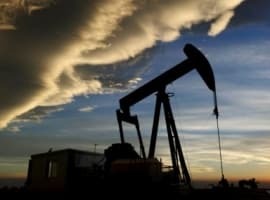 One other negative for prices looms: natural gas producers are leaving some wells that they have already drilled uncompleted because of low prices. They could complete those wells if prices start to rise, which in turn, will cap any price rally. In short, as the trajectory for oil prices looks pretty grim in the near-term, the outlook natural gas appears to be even worse. Very few people in markets get rewarded for taking an obvious view. I'm on the opposite side if this article and accumulating a huge natural gas long position. In fact it's the only position I have right now and my main trade for 2016. The ex CEO of Chesapeake may have just committed suicide. What more clear example of Buffett's "blood on the streets" can there be? Is there more than 4000 billion cu ft of storage available ?